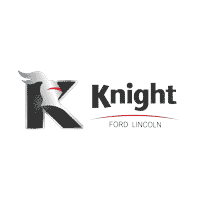 Knight Ford Lincoln in Moose Jaw, SK has a great selection of used Ford F-150 trucks. Each truck is thoroughly inspected by our factory trained technicians and backed by our life time engine warranty! Big payload and bigger towing ability hasn't kept Ford engineers from building a pickup truck that doesn't ride or handle like an aging flatbed. The 2014 Ford F-150 is so comfortable you'd swear you were behind the wheel of a Lincoln SUV. The cab in Ford's 2014 F-150 SuperCrew is so roomy it out-measures some full-size sedans. In fact, the rear-seat legroom is absolutely limousine-like, and the mechanically-articulated second-row seat flips up and out of the way, delivering an ample 57.6 cubic feet of space behind the front seats. Knowing that the hands controlling the 2014 Ford F-150 will often be clad in some type of glove, be it work or ski, the design team has created buttons, knobs and switches that are slightly oversized, widely spaced and easy to reach. A thoughtful center console design can swallow two or more laptops or tablets; there are even slotted ridges along the sides for holding hanging files in place. There are two 12-volt outlets, one on the dash and one in the console, and an available 110-volt outlet. As for overall comfort, we think the F-150's contoured front seats are among the most comfortable in the class. Ford went radically lean when it redesigned the Ford F-150 for 2015, giving its ever-popular full-size pickup an aluminum-intensive body. Visual appearance didn't change much, considering the dramatic re-skinning. Though the big pickup remains upright in profile, the F-150 lost 500 pounds or more. Ford's 5.0-liter V8 delivers 385 horsepower and 387 pound-feet of torque. Ride quality and handling prowess haven't changed substantially with the new aluminum body, but the reduced weight clearly helps isolation from the road surface. Ford went radically lean when it redesigned the Ford F-150 for 2015, giving its ever-popular full-size pickup an aluminum-intensive body. Visual appearance didn't change much, considering the dramatic re-skinning. Though the big pickup remains upright in profile, the F-150 lost 500 pounds or more. Ford's 5.0-liter V8 delivers 385 horsepower and 387 pound-feet of torque. Ride quality and handling prowess haven't changed substantially with the new aluminum body, but the reduced weight clearly helps isolation from the road surface. The 3.5-liter EcoBoost twin-turbo V6 ekes out 420 pound-feet, raising the peak towing figure to 12,200 pounds. Led by its tall grille and faired-back headlights, the F-150 continues to convey a definitively tough-truck character. Rectangular headlight inserts recall early F-Series pickups. A beveled hood helps send air across the roof. The 2017 Ford F-150 is the most innovative of the full-size pickups. The 5.0-liter Ti-VCT V8 delivers 385 horsepower and 387 foot-pounds of torque for a tow rating of up to 10,100 pounds. Introduced as a 2015 model, the current-generation F-150 boasts a lightweight body made of high-strength, military-grade aluminum alloy, along with a frame that uses high-strength steel to further reduce weight, dropping more than 500 pounds. Less weight means better fuel economy, quicker performance, shorter stopping distances, greater payload. Ford's SYNC 3 was added for 2016. F-150 Lariat comes standard with leather-trimmed and heated front seats, satellite radio, rearview camera, pushbutton start, power-adjustable pedals. The bed and cab are made of aluminum panels glued and riveted together and secured to a ladder frame that makes liberal use of high-strength steel. By pickup standards, the F-150 feels smooth and soft, the cab relatively isolated from road surface vibration. Its ride comfort and substantial feel makes the F-150 much more enjoyable on the road. Ford went radically lean when it redesigned the Ford F-150 for 2015, giving its ever-popular full-size pickup an aluminum-intensive body. Visual appearance didn't change much, considering the dramatic re-skinning. Though the big pickup remains upright in profile, the F-150 lost 500 pounds or more. Ford's 5.0-liter V8 delivers 385 horsepower and 387 pound-feet of torque. Ride quality and handling prowess haven't changed substantially with the new aluminum body, but the reduced weight clearly helps isolation from the road surface. The body and cargo bed are made of aluminum panels glued and riveted together. All that aluminum sits atop a ladder frame, made mostly of high-strength steel. Led by its tall grille and faired-back headlights, the F-150 continues to convey a definitively tough-truck character. Rectangular headlight inserts recall early F-Series pickups. A beveled hood helps send air across the roof.